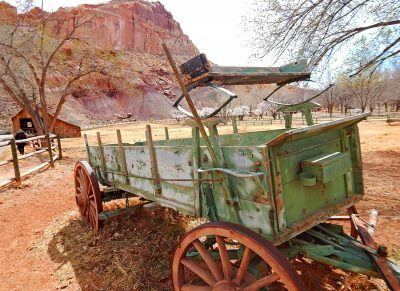 Journey to the remote and scenic “Last Frontier” found within the continental Western USA, still untouched by mass tourism. 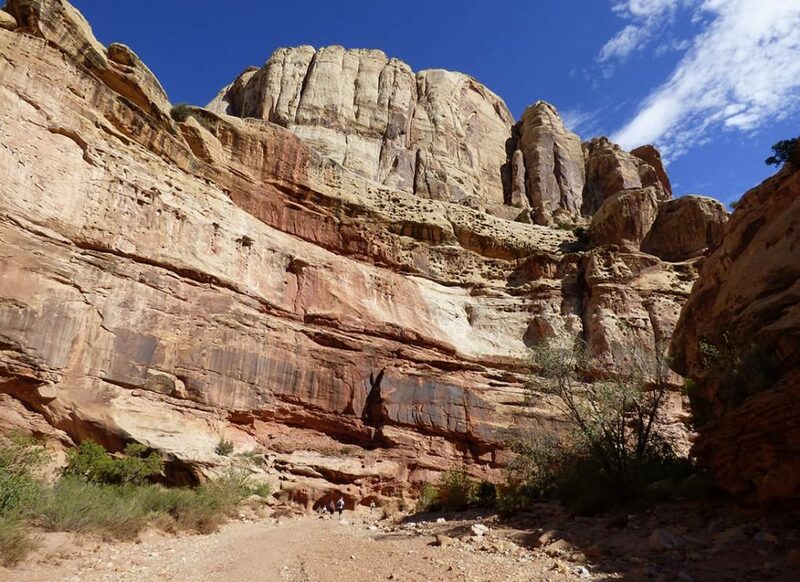 Here in Utah’s south-central desert lies Capitol Reef National Park with it’s massive cliffs and dirt roads that lead into the heart of an expansive wilderness, explored only by adventurers such as our small group participants on the Canyon Lands and Western Wonderland Tours. Our base is in Torrey, a small farm town with 170 inhabitants, in the midst of this impressive landscape. 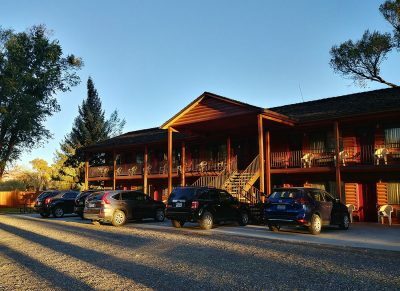 We stay at the local Austin’s Chuckwagon Lodge, featuring an inviting swimming pool during the summer months, to unwind after a day of exploration. After dinner we drive towards Capitol Reef to catch the last rays of sunlight as they create a reddish glow on the unique landscape. This is the best time of day to photograph the region, with long shadows and deep color adding a dramatic touch. The next morning we depart to the National Park, and it doesn’t take us long to find our first perfect photo stop! 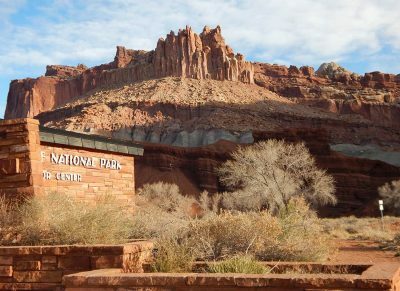 And a 5 minute drive later we arrive at the Visitor Center for Capitol Reef National Park. 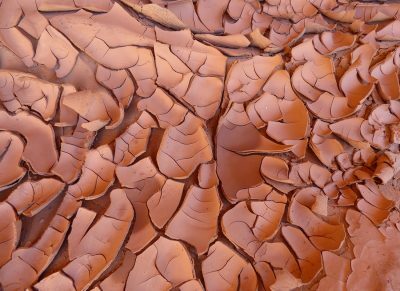 Here you’re introduced to the unique geology of the region, with an informative relief of the almost 100 mile long „Waterpocket Folds“. 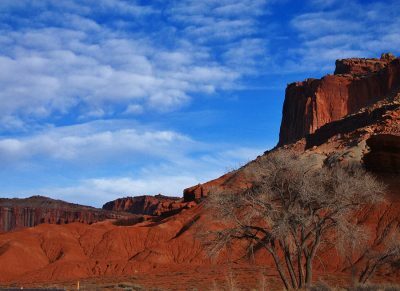 Capitol reef is the most scenic portion of this fold, which formed between 50 and 70 million years ago. 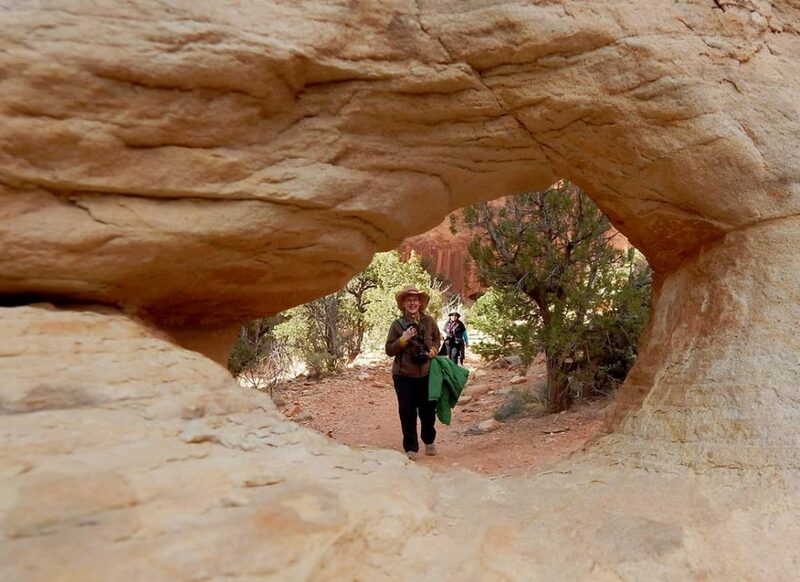 We begin our hike along a secluded trail into the „Grand Wash“. 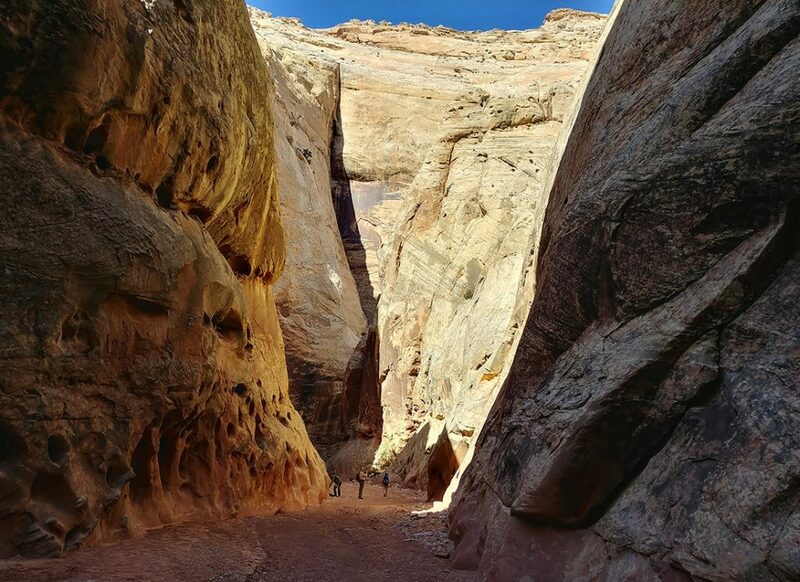 This is a large slot canyon, carved over millions of years by the stream that still runs through it during the rainy season. Towering cliffs dwarf us as we make our way along into the canyon. The hike continues through the dry creek bed, in the summer it’s quite hot in the sun here, but fortunately the towering cliffs provide pleasant shade for relaxing. Our most senior adventurer on this hike was 84 years old, a visitor from New Zealand, and completed the trek in 2-1/2 hours. 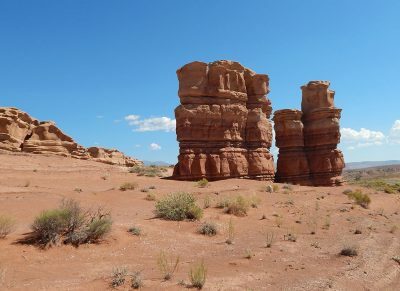 Every visit here is different, and at every turn there are surprising sandstone landscapes with unexpected forms and colors. 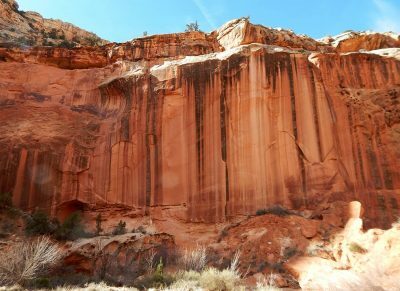 The tall cliffs are streaked with „Desert Varnish“ – artistic natural designs created over hundreds of years as algae and minerals deposits on the cliffs. When it rains the dried creek bed swells to the size of a river, very dangerous for hikers, so it is always vital to know the weather when embarking on a hike here. Our tour guides keep you safe, while showing you details you might otherwise miss and sharing information about the landscape. The wild water has created the interesting carved forms through years of erosion, as seen here. 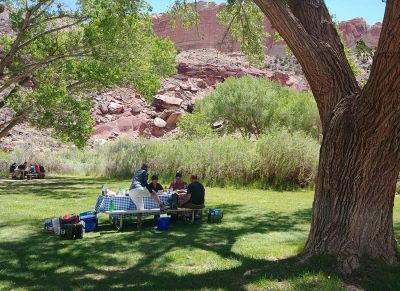 After our hike it’s time for a well-earned lunch picnic in the shade of giant old cottonwood trees. These massive trees have stood here since the 1880‘s as a small group of pioneers settled the region. 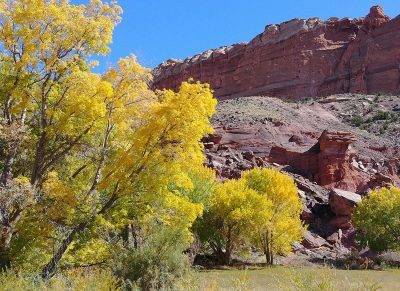 They pioneers named the town „Fruita“ after the orchards they planted in the fertile region, and eventually the area became a part of the National Park. 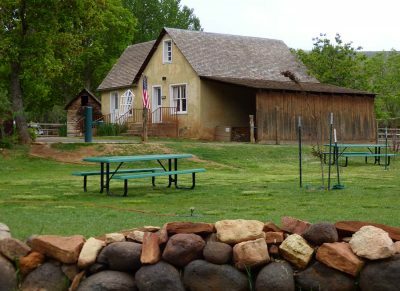 An old farm house, where fruit pie baked by traditional recipe can still be purchased, a small school building, and a few agricultural remnants are all that is left of the historic homestead. 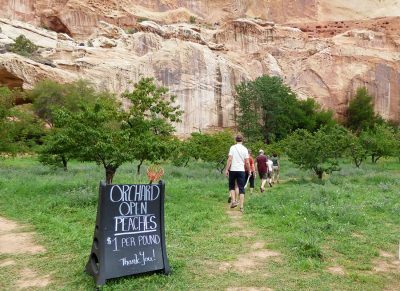 Thanks to the efforts of National Park personnel several of the old fruit orchards are still in production. 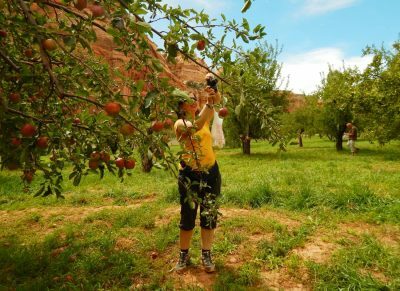 When we visit at the right time of year we enjoy picking fruit from hundred year old apple and peach trees, enjoying a natural snack with real history as we continue on our journey. 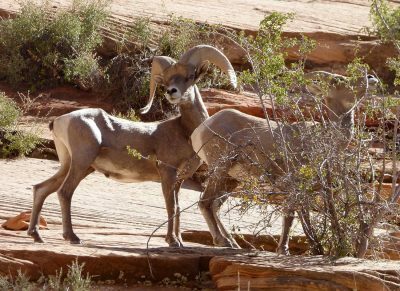 Within the protected boundaries of the National Park many different animals have made their homes, and we frequently spot them on our adventure. 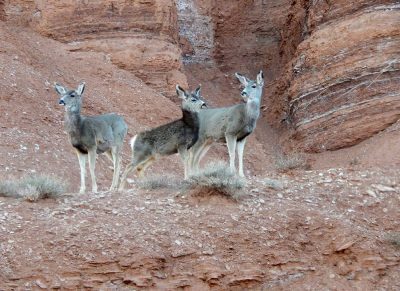 Keep an eye out for deer, fox, marmots, bighorn sheet and a wide variety of bird life and lizards. 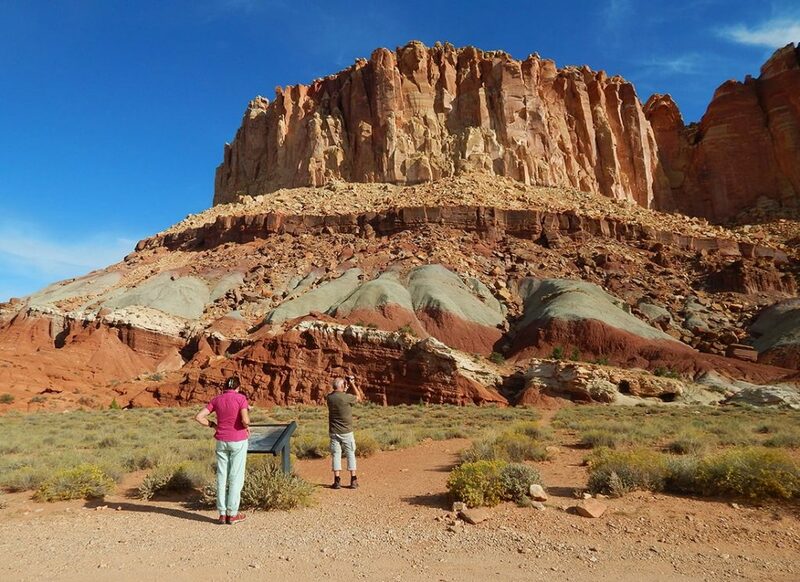 Capitol Reef National Park has out-of-the-way regions that can only be accessed by 4×4 vehicles. For our custom tours this is a great addition to the program, taking us further into the heart of these wild lands. 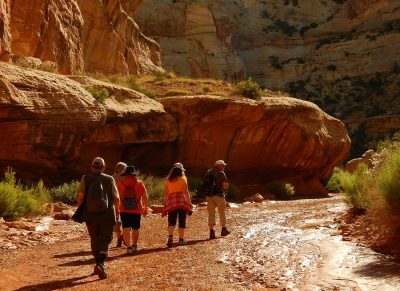 With Canyon Lands and Western Wonderland tour departures in April, August and October we offer three set date departures annually. Custom adventures can be arranged for your group any time of year!